Please call, or email our internet team with any questions. Price shown may vary depending on cash purchase or lenders conditions. To qualify for internet pricing you must mention this advertisement at the time of sale.The features shown are VIN drawn from when the car was sold new and may vary as a pre-owned vehicle. All Pricing Shown is for an Internet Complete Transaction only. Transactions involving dealership personnel, or dealer facilitated financing are not considered internet transactions and could be charged up to $2150. Internet specials are for internet transactions. See dealer for all pricing details and qualifications. Please call, or email our internet team with any questions. Price shown may vary depending on cash purchase or lenders conditions. To qualify for internet pricing you must mention this advertisement at the time of sale.The features shown are VIN drawn from when the car was sold new and may vary as a pre-owned vehicle. All Pricing Shown is for an Internet Complete Transaction only. 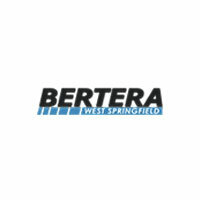 Why Buy from Bertera CJDR of West Springfield? We know that purchasing a new or pre-owned vehicle in the Northampton, Enfield and Westfield area is a big step and a big decision for most people. We strive not to lose sight of the fact that although we may sell hundreds of vehicles every month, you, our customer may only purchase a vehicle every few years.